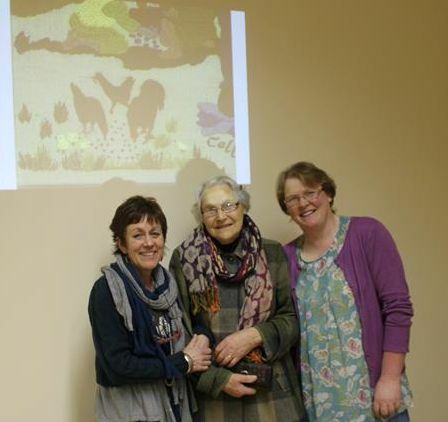 Stephanie Breen and Aileen Kavanagh gave a very interesting slideshow and talk on the tapestry on Tuesday last. Stephanie did the art work for the tapestry and both Aileen and her mother Kathy Kavanagh were involved in stitching some of the 25 panels making up this work. The Visitors’ Centre is open from end of May to end of September from 10a.m. to 6p.m., seven days a week. Guided tours of the adjacent Castle are given daily by enthusiastic OPW staff. For more information on the tapestry and when to see it visit here.